Once you have a professional landscape installed, it’s vital to maintain your plants so they continue to add value and visual appeal to your home. 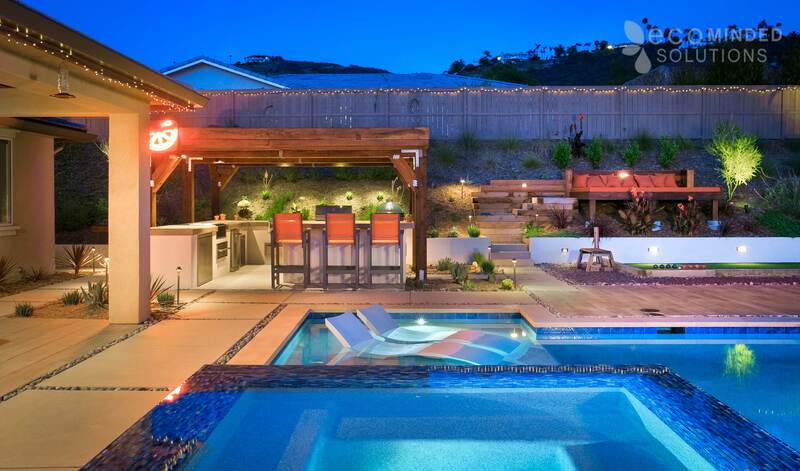 Eco Minded Solutions designs and builds stunning landscape architecture for our customers in San Diego. Then, we perform ongoing landscape maintenance to keep it looking beautiful for years to come. The following are examples of landscape maintenance services we provide our San Diego customers every fall. The tasks listed here also make a handy checklist for Southern California homeowners who want to ensure everything gets done as the weather starts to grow cooler and the days become shorter. Start by adjusting the watering schedule to reflect the cooling temperatures and dormancy period of some plants. We can help make sure you don’t over- or under-water your landscape this fall and winter. Early fall is also the right time to check for problems with your irrigation system. After all, extreme summer heat can affect ground components, resulting in leaks, clogs, or breaks. Maintain and repair the sprinkler system now so you can count on it next spring when water demand increases with the rising temperatures. Cooler nights here in San Diego signal plants to establish deeper roots for the upcoming fall and winter. This is why early fall is the ideal time to divide perennials and transplant them elsewhere in your yard. The newly transplanted foliage establishes healthy roots while their tops remain low, the perfect combination for thriving in the cool season. All the plant’s growth appears on the outside edges. The plant doesn’t bloom well, or the flowers are smaller than usual. Surrounding foliage is overcrowding the plant. If you have turf that never gets used, you’re wasting water and increasing your bills needlessly. Fall is a great time to replace turf with plants native to San Diego. The professional landscape architects at Eco Minded Solutions can help you design a beautiful, drought-tolerant landscape. Assess the health of your trees and shrubs this fall. If any branches are dead, diseased, or broken, remove them. Prune large, overgrown shrubs by thinning out branches on all sides rather than sheering them. This reduces the plant’s size without impacting its shape. When pruning any plant, don’t remove more than one-third at a time. Keep in mind that some shrubs prefer to remain untouched in the fall. For instance, roses do best when pruned at the peak of winter (January or February). Check with Eco Minded Solutions if you have any questions about what, when, and how to prune—and remember that our team will happily prune any dying plants you’ve observed during your landscape maintenance service! The cooler temperatures and rainier conditions of fall and winter in Southern California make this the ideal time to plant new trees. Top picks include the shoestring acacia, western redbud, Desert Museum Palo Verde, and “Swan Hill” olive tree. Young transplanted trees will have plenty of time to develop a robust root system by the time high temperatures, sun scorch, and drought conditions take their toll next summer. Remember to stake new trees to help them grow straight and withstand the wind for the first few years. Our experienced landscaping team can help you select the best trees for your home’s unique microclimate. Eco Minded Solutions can help with all your San Diego landscape maintenance needs this fall and all year round. We are intimately familiar with the specific requirements of our unique region to help ensure every tree, shrub, and flower on your property looks its very best. We can tackle maintenance tasks you can’t or don’t want to do yourself, plus offer advice about treating any problems you’re experiencing with your plants. 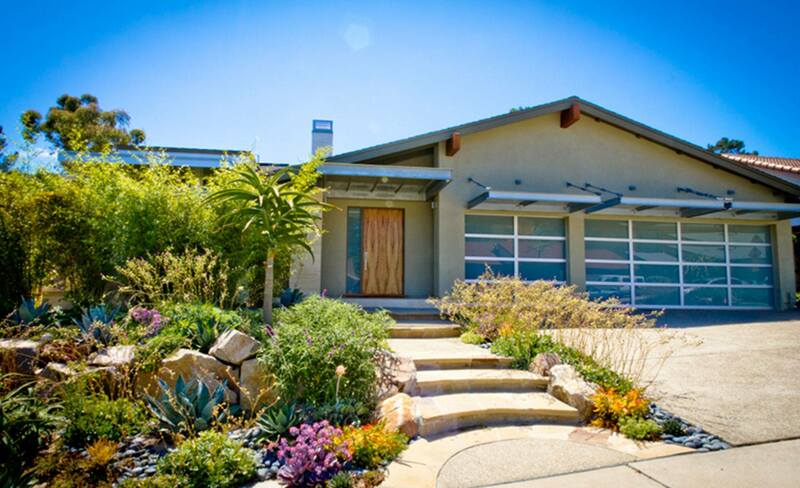 To schedule San Diego landscape maintenance, please contact Eco Minded Solutions today. Read our reviews on Google. 4.4 stars from 7 reviews.